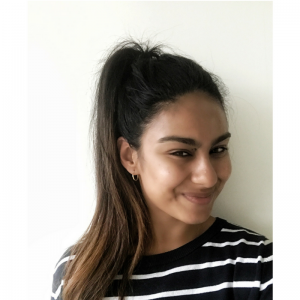 Zaynah Shehraz is a mental health advocate and an active wellness and lifestyle blogger from London, UK. Having been diagnosed with BPD and Bipolar after suffering in silence for most of her life, She has decided to open up about her own personal experiences with the desire to encourage others to be positive and to live an unapologetically, authentic life. After a relapse, many of us carry the burden of guilt and shame and it becomes very common for us to forget about self-love. However, please do not beat yourself up as it will accomplish nothing. You have had to battle your biggest demons and you have won because you are still here. You have made a choice to continue fighting. That in itself is a huge victory that you should take pride in. Always remember to show compassion to yourself because you DO deserve it. 2.COMMUNICATE WITH SOMEONE WHO YOU FEEL SAFE WITH. There are triggers that drive us to relapsing and it takes time for our wise mind to instantly pick up the warning signs of a bump in the road ahead. That is why relapsing in mental health is so common and the worst thing you can do, is to mask your feelings. I know it is a habit of a lifetime for many of us but how will anyone be able to help us when they think that we’re ok? If you feel vulnerable, don’t be alone. Be with someone you trust and who cares for you. It’s a strength to ask for help. 3.DON’T ALLOW YOURSELF TO INDULGE IN SELF-PITY. Wallowing in self-pity is something that a lot of us resort to and sometimes it may be difficult to avoid. However, self-pity is one of the fastest routes to self-destruction when overcoming a relapse so we need to avoid it. This is where all our self-care practice becomes a survival resource. I would go for a walk, sit in the garden and mindfully take in my surroundings or listen to some happy nostalgic music. Self-care is very subjective so my suggestions may not be appropriate for everyone so do things that make YOU feel good. 4.GET BACK TO ROUTINE AS SOON AS POSSIBLE. Remember that relapse is a hurdle. It does not mean that you have to start your healing process from the complete beginning all over again. You may have fallen but you have regained the strength to pick yourself back up again. Get straight back into your recovery routine, continuing with the efforts that you have been making to ensure you live an authentic life that is worth living. Do not fixate on negatives in the past and do not induce anxiety by thinking of what may come in the future. Just simply take it one day at a time. It is your journey and you will take as long as you need.